Travel back to the late 19th century and complete the inconceivable journey. 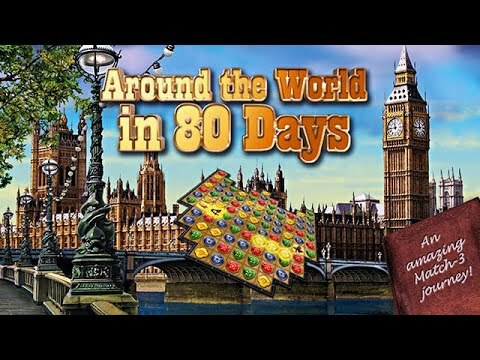 In Around the World in 80 Days, you must travel back in time to the late 19th century and prepare for spectacular adventures on land, sea and air together with the English daredevil Phileas Fogg and his loyal French servant Passepourtout. Use the unique chance to visit four continents and complete the inconceivable journey to win the fantastic 20,000 pounds wager with this outstanding puzzler inspired by the classic adventure novel of the same name written by Jules Verne.